Vicis, founded five years ago, now has its ZERO1 football helmet in use by 120 professional and college teams. 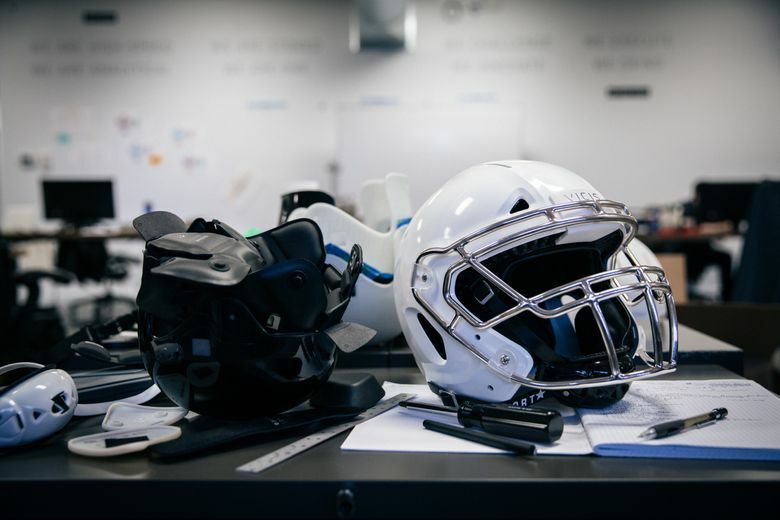 Vicis, a Seattle-based developer of football helmets, has raised an additional $15 million from private investors that will help it ramp up manufacturing, move into other sports and work on combat helmets. Vicis CEO and co-founder Dave Marver said the new capital, which brings the company’s total funding to $70 million, will be used to increase production capacity after Vicis was “overwhelmed with orders” this season for its ZERO1 helmet. The NFL, in its annual safety test, in April ranked the ZERO1 best for reducing head impact severity for the second year in a row. Virginia Tech researchers this year also ranked the helmet best for reducing head injury risk in the university’s yearly helmet ratings. Marver said the new funding reported in a regulatory filing Thursday will also be used to expand the business into other sports and its work with the U.S. military. Vicis said in May that it was awarded a U.S. Army contract to improve Army and Marine Corps combat helmets by applying its technology to existing combat helmet liner pads. “The ZERO1 has hundreds of columns that bend, compress and move during an impact, helping slow forces before they reach the head,” he said. The company worked with the University of Washington and University of Oregon to test the ZERO1 before it was launched last year, and Marver said the helmet was worn by 75 players on 18 NFL teams in its first season. This year, he said, 120 professional and college teams will be wearing the ZERO1, and more than 1,000 high school programs will use it. The Big 12 Conference last week announced a partnership with Vicis, and Baylor said Thursday that 80 of its players will wear the helmet this season, joining the University of Notre Dame, which plans to offer the helmet to its entire roster. Vicis is headquartered in South Lake Union and manufactures its helmets in a facility in Seattle’s Fisherman’s Terminal. This story was revised on Aug. 9 to list Jonathan Posner as a co-founder of Vicis.